Lina Lapelytė lives and works in Vilnius and London. 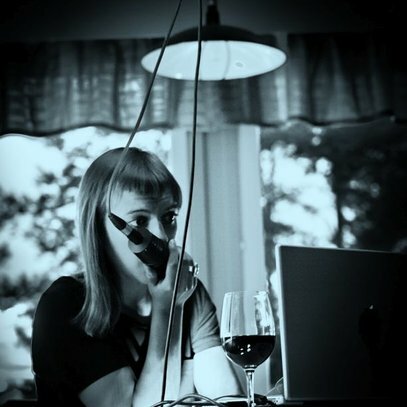 She is a composer, sound artist, violinist, vocalist, performance artist. Besides stage performances in the context of improvised music, one of her main artistic interests lies in the genre of contemporary opera. Since the beginning of her artistic work Lina was particularly interested in improvisation. She developed a unique musical style by combining violin and electronics in her solo performances and musical collaborations. Lina Lapelytė explores contemporary forms of performativity that are related to a genre of new opera and performance in a context of contemporary art. According to the artist, in her recent works such as Have a Good Day!, Candy Shop, Hunky Bluff she has been exploring the phenomena of song, using it as an object with which to examine issues of displacement, otherness and beauty. Re-enactment supports her investigation into aesthetics, control and reality. Performances and operas are fueled by expression, marked by pastiche and grotesque, contextual and conceptual musicality, theatrical suggestibility, expressive stylized visuality. Performances and operas unfold sensitivity to feminine identity and it’s complex relation to contemporary reality in a manner of tradition of postfeminist art. Since the beginning of her artistic work Lina was particularly interested in improvisation. She developed a unique musical style by combining violin and electronics in her solo performances and musical collaborations. 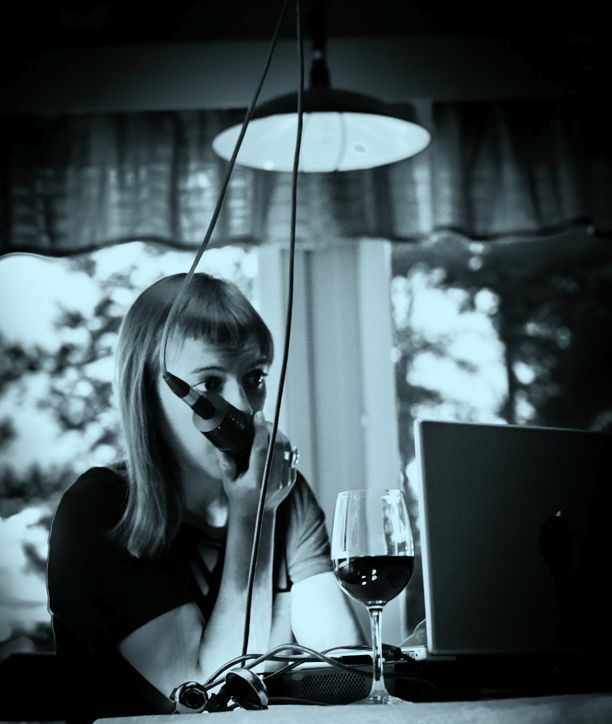 She’s actively participating in diverse projects of contemporary music and in numerous collective improvisations together with internationally renowned artists from the scene of improvised music. Lina Lapelytė took part in collaborations with Angharad Davies, David Toop, John Butcher, Anton Lukoszevieze, quartet Twentytwentyone, Eddie Prevost, David Ryan, Peter Cusack, John Leafcutter, Rasa Alksnytė, Olga Nosova and others. Lina Lapelytė explores contemporary forms of performativity that are related to a genre of new opera and performance in a context of contemporary art. According the artist, using song as an object, she examines the issues of displacement, otherness and beauty. Re-enactment supports her investigation into aesthetics, control and reality. Performances and operas are fueled by expression, marked by pastiche and grotesque, contextual and conceptual musicality, theatrical suggestibility, expressive stylized visuality. Performances and operas unfold sensitivity to feminine identity and its complex relation to contemporary reality in a manner of a tradition of postfeminist art. A collective work – the opera Have a Good Day! by composer Lina Lapelytė, librettist Vaiva Grainytė and director Rugilė Barzdžiukaitė was awarded the prestigious Lithuanian theater prize Golden Stage Cross in the category The Best Staging of the Work by Lithuanian author in 2014. In 2013 during the Swedish Biennial for Performing Arts the opera was selected by an International Theatre Institute (ITI) jury (ITI received over 400 applications from more than 35 countries) for presentation at final Music Theatre NOW competition where the work was awarded Globe Teana-Theatre Observation prize which is the invitation to present the opera in the Contemporary Theatre Festival ACT in Shanghai. Have a Good Day! was also performed at the visionary opera-theatre and music-theatre festival Prototype in New York, theatre festivals Golden Mask in Moscow and Sirenos in Vilnius. This conceptual and minimalistic opera was premiered at the Contemporary Art Center in Vilnius in 2011 at the contemporary opera festival New Opera Action. Lina Lapelytė as an author and collaborator has been exhibiting and performing at London’s galleries such as Tate Modern, Serpentine Pavilion, DRAF, Whitechapel, Baltic Centre for Contemporary Art in Newcastle, Ikon gallery in Birmingham, Institute of Contemporary Art (ICA) in London, Contemporary Art Centre in Vilnius, Center for Contemporary Arts in Glasgow, Skopje biennale, as well as Royal Albert Hall in London (in the context of the BBC Proms), Queen Elizabeth Hall in London, Holland Festival in Amsterdam, Huddersfield Contemporary Music Festival and many others.